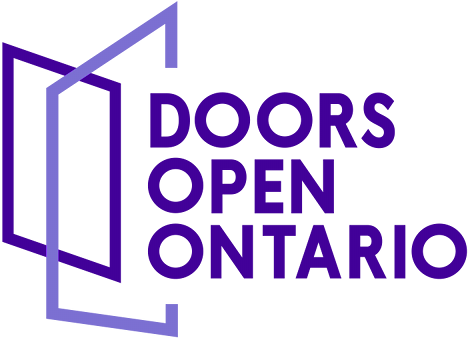 The City of Quinte West is proud to be hosting its eighth annual Doors Open event! If you would like to volunteer for Doors Open Quinte West, contact Wendy Ouellette at wjogjo@gmail.com or Colleen Vickers at colleenv@quintewest.ca. Established in 1984, the National Air Force Museum of Canada is dedicated to preserving and telling the history of Canadian military aviation. The museum captures the spirit, daring and courage of the men and women of the Royal Canadian Air Force – from the first flight on a frozen lake in Nova Scotia to today's humanitarian relief missions. Quinte Waste Solutions is the municipal recycling service that has collected for nine member communities for over 25 years. At its Trenton location – known as the Material Recovery Facility – they process over 50 metric tonnes of household recycling each day. Come and visit this facility and learn about what happens to your blue box recycling. The goal of the Quinte West Gardens-Growing Community is to grow the community by encouraging relationships through gardening, food production, environmental awareness and education. Come and visit them at their location on Guelph Street. During Doors Open, they will conduct site tours and offer samples of their produce. You can even participate in the Potato Dig! Come and visit this town hall and view the newest documentary by local filmmaker Sean Scally, Lumber Barons. The Gilmour Years. The tea service used by the Gilmour family will be on display. Enjoy refreshments as you wander through the archives room. Please note that the film will be shown upstairs, which is not wheelchair accessible.